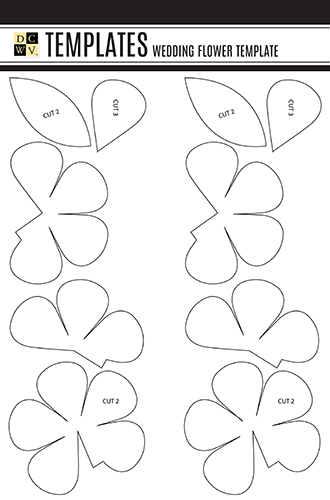 Put this flower template to work when you make your next set of flowers for a wedding, birthday, party, and more. This and other DIY project stacks by DCWV Inc. are available at Jo-Ann Fabric and Craft Stores®. Please email customerservice@dcwv.com for additional questions or to receive this template in another format.